Prechilling a Cambro insulated transporter. Place a frozen Camchiller on top rails of unit. Close door for 20 minutes. Remove Camchiller or load with cold food. Place a pan of ice water in the bottom rails of unit. Close door for 20 minutes. Place transporter in walk-in or freezer with door open for as long as possible. Prechilling your Cambro insulated carrier has never been easier! In just 20 minutes, you’ve got a cold unit to store your most popular cold food items. Watch the video to find out how! 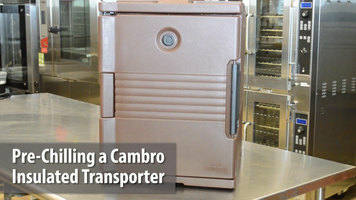 Pre-Heating a Cambro insulated transporter. Place a pan of hot water on bottom rails. Close door for 20 minutes. Heat 2 Camwarmers at 350 degrees for 45 minutes. Place on bottom rails of unit. Close door for 20 minutes. 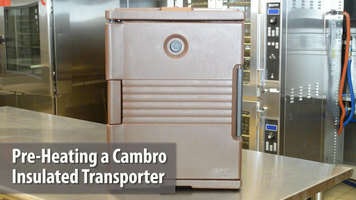 Find out how to preheat your Cambro insulated transporter by watching this simple, step-by-step tutorial! Keep hot food hot or cold food cold for 4 hours or more with this granite sand Cambro UPC1600HD131 Ultra Camcart food pan carrier! 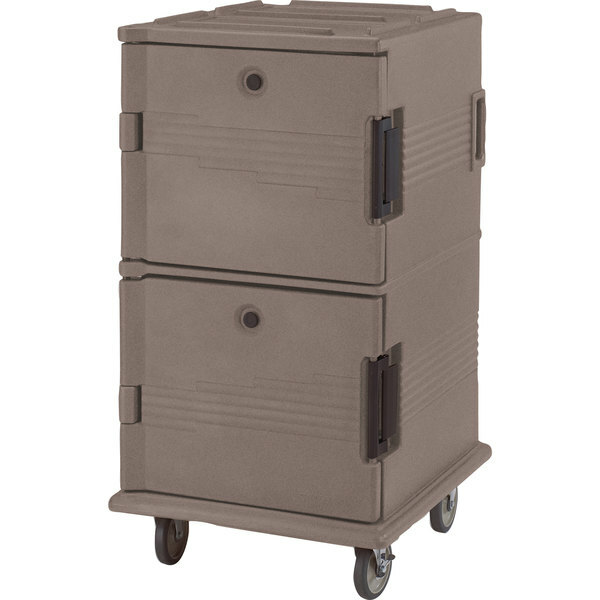 This double-compartment, high-capacity cart's molded polyethylene shell coupled with thick foam insulation throughout the unit ensure its ability to maintain safe food temperatures. 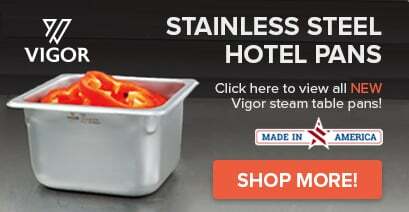 This model can transport up to 24 2 1/2" deep full size food pans, 16 4" deep pans, 12 6" deep pans, 8 8" deep pans, or up to 48 3253 size Camtrays! It also boasts a marine railing for added staging area! This Ultra Camcart food pan carrier features heavy duty 6" x 2" casters, 2 fixed and 2 swivel with brakes, which allow for smooth navigation over any surface. Plus, its molded-in bumpers minimize the damage done to walls and other equipment as you maneuver it through tight spaces!